Gluten-Free Stella Artois Will Launch in the U.K. The brand says changing the process won't affect the beer’s flavor. Americans drink plenty of Stella Artois. According to data released earlier this year, the AB InBev-owned Belgian brand is the 14th best-selling beer in the U.S., and the country’s second most popular brand with roots outside of North America. But it’s even more popular in the United Kingdom: Stella Artois is Britain’s best-selling brew. And now, the brand is looking to broaden its market to a group of people who might not usual drink beer: the gluten-free crowd. A gluten-free version of Stella Artois—which will fittingly be known as Stella Artois Gluten Free—is set to launch in the U.K. next month, according to FoodBev Media. The new product will first appear as four-packs of bottles in grocery stores before rolling out to more locations later this year. Of course, the big question mark with any gluten-free beer is taste, and that’s especially true on a popular brand like Stella where diehard drinkers probably already have the flavor permanently ingrained in their tongues. 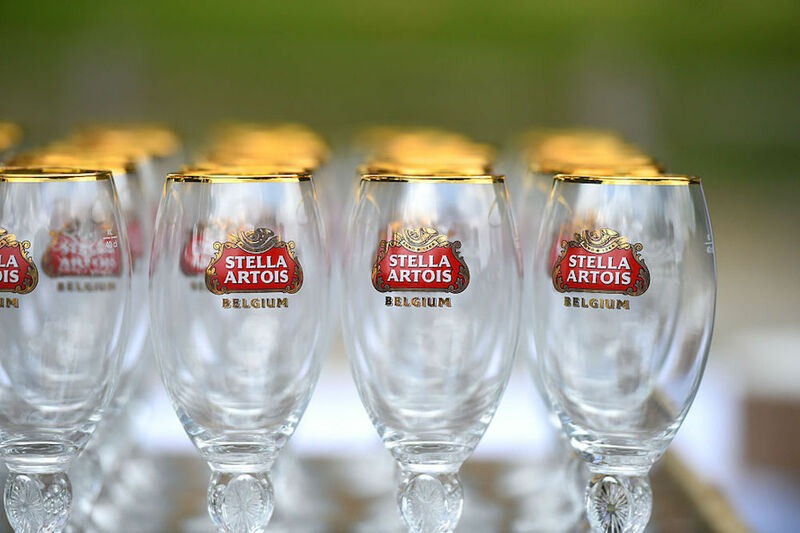 To that end, AB InBev has promised that this new iteration “will maintain the high quality and exacting standards of the original Stella Artois recipe,” continuing to use just four ingredients. Instead, the company vaguely explains that gluten has been removed though the use of a specific protein. The brand suggests that this change doesn’t alter the beer’s taste—though as we’ve seen in the past with things like non-alcoholic iterations of famous brands like Budweiser, these claims typically tend to be a bit optimistic. Still, for those in need of gluten-free products, the opportunity for a gluten-free version of such a mainstream beer certainly sounds like a tempting proposition. “We’re incredibly excited to be entering the gluten-free beer category with Stella Artois Gluten Free, making the UK’s favorite beer brand more accessible to those who follow a gluten-free lifestyle,” Stella Artois Europe marketing director Alexis Berger was quoted as saying. Meanwhile, though AB InBev has regularly introduced products in the U.K. without bringing them across the pond, we reached out to a Stella Artois rep to see if the brand had any plans to bring Stella Artois Gluten Free stateside, and were told that no American distribution is yet in the works.